Oh, let’s just say it: HDTV is fat. But, as is also known throughout the land: There’s good fat, and there’s bad fat. Just in case there’s someone out there who hasn’t yet seen an HDTV display: HDTV is good fat. My first stare at HDTV happened about a decade ago, in Atlantic City. A draped area, in the corner of a trade show booth, was mobbed with onlookers. The drape was there to shield the HDTV set, underneath, from lights – then and now, darker rooms are generally better for HD viewing. A boxing match was showing. Being someone who prefers peonies to pugilism, I found myself more mesmerized by the individual strands of the ropes bounding the ring. I wondered: If I’d attended the fight, and sat about the same distance as I was from the HD set, would I really be able to see the strands of the ropes, not to mention the facial details of the people in the front row? What makes HDTV so visually intense (and comparatively hefty) is rooted in its technical definition: Twice the vertical and horizontal resolution of regular TV; 16 units of height for every nine units of width; CD-quality sound. If HDTV were sent in analog (which it isn’t), it’d be even fatter. It’d be too portly for practical use, really. The bare essentials of an HD picture include 30 MHz for red, 30 MHz for green, and 30 MHz for blue information. (Red, green and blue, or “RGB,” are what make TVs show pictures.) That’s nearly 100 MHz of information, or 16x times that used by a standard-definition (read: plain old) TV picture. Digitization and compression changed all of that, which is why an increasing number of people can watch an increasing amount of HDTV programming today. But it’s that increase in HDTV programming, multiplied by its inherent heft, that is making cable engineers vigilant about bandwidth management. The five or so cable-delivered HDTV channels airing this year could grow to 12 next year, and 25 by 2006, some technologists expect. In today’s world, two, sometimes three, HDTV channels wriggle into the space of one “regular,” analog TV channel. If 24 channels of HD are coming, that means somebody needs to find (and clear off) somewhere between eight and 12 channels worth of room. Understanding cable bandwidth is like looking at a bookshelf. Say it’s an organized shelf, with room for 750 slots – where the 750 figure correlates to the total bandwidth (in MegaHertz, or “MHz”) of most cable systems. On the far left sit 18 skinny pamphlets. In bandwidth terms, each is about 2 MHz wide. That’s the upstream path. Its contents use up about 5 percent of the total shelf, specifically located between 5-40 MHz. To the right sit 83 hardbacks. Those are the analog channels – the stuff of basic and expanded basic service. In bandwidth terms, each is about 6 MHz wide. In total, the hardbacks take up about two-thirds of the shelf, from 52-550 MHz. On the far right of the shelf sit a mixture of books. Several are paperbacks. Some are those big, oversized art books, with the gorgeous photographs, that people always seem to give you when you’re out of town and there’s no time to get to a shipping store. The “digital paperbacks” are the stuff of today’s digital tiers: Regular TV channels that are digitized and compressed, as well as the goods of video on demand (VOD), subscription VOD (SVOD), and the rest of the -OD fare. The big books, naturally, are the HDTV channels. Gorgeous, but, as airline attendants say: Heavy, and awkward. The ratio of “digital paperbacks” to art books depends on how many of each is on the lineup. In general, most cable providers reserve 200 MHz of bandwidth, located spectrally between 550-750 MHz, for their digital products. That’s about 33 channels in traditional width – 6 MHz. That means there’s room for 330 or so digital channels (the paperbacks), and no HDTV (the art books). Or, there’s room for 99 HDTV channels, and no “standard definition” digital channels. This brings us back to what it takes, bandwidth-wise, to carry 24 HDTV channels, in two years. The math goes like this: 24 HDTV channels divided by three, to include the gift of compression, yields eight. Subtract eight channels, then, from the 33 available slots on the digital part of the shelf. That leaves 25 openings for broadcast and on-demand digital services, times 10, for 250 “regular” digital channels. If that doesn’t sound too bad, remember that the people in the on-demand world are already talking about storing 10,000 hours of content, for on-demand viewing. That’s up from around 1,500-3,000 hours now. And we haven’t even gotten into what’s needed to grow broadband Internet and digital voice services. It is for these reasons that the notion of “all-digital,” or at least “considerably less analog,” is a hot topic among cable technologists. Remember the 83 hardbacks, hogging up the bulk of the bookshelf? Making them digital, and sliding them over to the right, is a logical way to make room. That’s the bare bones of HDTV, and it’s impact on cable bandwidth. It’s not unmanageable, but it will take careful planning. The fact that all the phones in the house ring with an incoming call probably qualifies as a thing we take for granted. But if you’ve ever wondered how it is that a voice-ready cable modem can ring all the phones in the house, this translation is for you. Home wiring of cable-delivered voice-over-IP (VoIP) service is an effortless mental stumble, mostly because engineers cleared that hurdle months ago. As a result, they’re vaguely dismissive when asked about it. Not dismissive in a “dumb question” way, but more in that “easy, done, not an issue” way. To illustrate, consider hypothetical customer Bob, who lives in a house (as in, not an apartment). Bob sees himself as daring, but not always victorious, with techno-gadgetry. One sunny day, Bob surrenders to the magnetism of “the bundle.” He decides to swap the phone service he gets from his local telephone company with a video, data and voice package from his local cable company. Let’s say he already has video service, and is adding the data and phone parts on top. So far, this is a scenario that could happen. The next part can’t, yet. Bob buys his VoIP-ready modem, and the service, at a store, and decides to do the installation himself. The cable modem hookup goes swimmingly. Soon enough, Bob feels the smug appreciation that comes with broadband speed. Tackling the phone part is slightly more tricky. Bob begins by dutifully connecting the included phone cord from the E-MTA (embedded multimedia terminal adapter, tech-speak for a cable modem/VoIP combo unit) to the wall jack where the phone used to plug in. Probably he fishes around for a splitter, so that the phone by the PC still works. So far, so good. Buoyed by that success, and feeling enormously skillful, Bob goes outside. He needs to locate the place on the house where the telephone company drops off its wires. He finds it – a beige plastic box, about the size of a thick college textbook – between the downspout and the woodpile, next to the garage. The NID is a legal point of demarcation. Everything to the “left” of it is owned by the telco. Everything to the “right” is owned by the consumer. Mostly, they do that to protect their switches from electrical energy running up the wire from people’s homes, which can cause damage. The NID also completes the junction of all Bob’s phone wires, strung inside the walls of his house. The linkage can be wired in two ways. One is called “home run.” That’s where twisted pair phone wires, one for each active phone number, run individually to each phone jack in the house, like bases to home plate. The second in-home wiring method is to connect the existing phone jacks “serially.” In series. That’s where a pair of wires (again, one pair for each line) stretches to the first jack, and the first jack stretches a wire pair to the second jack, and so on around the house. If you’re thinking “daisy-chain,” you’re in the zone. Either way, home run or serial, the link from the NID, through the house, to all the phones, remains intact and useable — even after Bob disconnects the telco-delivered wires, outside. When Bob phoned in to activate his new services, and told his friendly cable provider that he wanted to keep both of his existing phone numbers – a process widely publicized in recent months as “local number portability,” or “LNP” – he could’ve sworn he heard a tiny sigh. At best, offering LNP as part of a cable-delivered telephone service adds a few days to the activation of the product. At worst, it turns into behind-the-scenes technocratic squabbles. Result: Add more days before activation. And then there’s Bob’s home alarm system, with the line-seizing feature and the guy who speaks to him from the hall closet. After Bob’s do-it-yourself day, that seize-able line is now two lonely, disconnected wires, in a plastic box, next to the woodpile. That’s an overview of what cable VoIP faces, as it marches toward mainstream. Next time, more on how Bob deals with his alarm system situation. Spring is here, which makes it seem timely to update one of the perennials in cable engineering: Powering, as in, powering for cable telephone services. Powering discussions go way, way back, and they’ll go way, way forward: Juice is juice, and just about everything needs it. But over the last few years, cable’s powering conversations morphed. For starters, it used to be about how best to power the “network interface units” clamped to the side of the house, and linked via cable plant to those “big iron” class-5 switches. These days, engineers are still working on powering issues. It’s still about making sure customers can make and receive calls, when the power is out. But with voice-over-IP (VoIP), as with most things that depart from “traditional analog” activities, there’s a distinction. The distinction is this: With VoIP, figuring out how to power the devices that do cable telephony no longer includes the cable plant as an option. All VoIP devices, known in the lingo as “E-MTAs,” for “embedded multimedia terminal adaptors,” get power when they get plugged into a power outlet inside the house. In short, it’s a safety thing. Asking a trained cable technician to run 90 volts of power into a box sitting on the side of the house is one thing. It’s another thing entirely to expect consumers to handle a live wire. Plus, it’s expensive. Just ask Cox. As the acknowledged pioneer in cable telephony, Cox learned early on that it’s not the “big iron” class-5 switches that top the cost line for circuit-switched telephony. Nope. It’s the cost of network power. Yet still, all operators planning VoIP deployments need to decide what their approach will be, when it comes to power outages. Five nines is slang for a reliability percentage – 99.999% – which is endorsed by the telephone industry as the duration of time their network will be “up” and available for phone traffic. Cable technologists sometimes scoff at the number, in a “doubt it” kind of way. 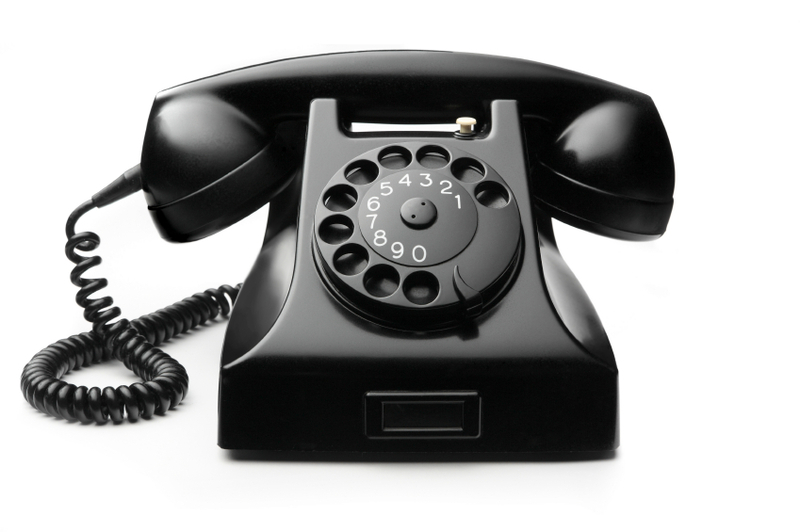 Regardless, “five nines” is an accepted reliability benchmark for telephone services described as “lifeline,” or “primary line.” It means that only rarely will the phone not work. Contemporary telephone powering is also one of those conversations that almost begs for you to include yourself, as a telecommunications consumer. Think about your house. How many of your phones are cordless, or plug into the wall outlet for power? Do you still use a phone that only plugs into the RJ-11 jack? Do you even know where that phone is? And now this from the Department of the Obvious: Most of us have cell phones. That means the search for the old phone happens only after the cell phone batteries give up. The point here is that our steady accumulation of cordless and cell phones made most of us ditch the “black phones” we used a decade or two ago. And if the power goes out, those cordless phones don’t work. Batteries also trigger a whole new, if predictable, spate of operational issues for cable operators. How often do they get replaced? How is that handled – are they sent to the house? By mail or by truck? And after customers have received the batteries, have they installed them? Again, if your house is like mine, you try to be mindful of the rule about changing the fire detector batteries when the clock changes, in spring and autumn. You always mean to do it, anyway. That’s the latest bloom in cable’s perennial powering discussion. Next time, the answer to the VoIP question you maybe don’t want to ask, because you don’t want people to think you don’t already know the answer.